At a time when the United States has intensified its confrontation with Russia based on claims that Moscow interfered in US and allied politics (i.e. the UK and prospective NATO members in Eastern Europe), the US openly meddles everywhere from Europe and Africa to the Middle East and Asia. This includes Southeast Asia where Washington is busy at work creating an arc of US client states and political chaos aimed at encircling and foiling China and the rest of Asia's regional and global rise. US meddling has been documented in Cambodia where it is attempting to disrupt growing ties between Phnom Penh and Beijing, in Malaysia where nearly the entire opposition coalition that recently came to power was funded and backed by Washington and in Myanmar where the US is cynically leveraging ethnic violence to pressure the government to sever ties with neighbouring China. Also on the list is Thailand. The current military-led government came to power in 2014 after the second coup in less than 10 years aimed at uprooting the political network of Thaksin Shinawatra, a billionaire and now fugitive who has long served US interests and Washington's attempt to transform Thailand into a US client state. Shinawatra's political network includes his political party, Pheu Thai (PTP) along with his violent street front, the "United Front For Democracy Against Dictatorship" (UDD), also known as the "red shirts." More recently, he has expanded this network to include proxy parties working with and for PTP. 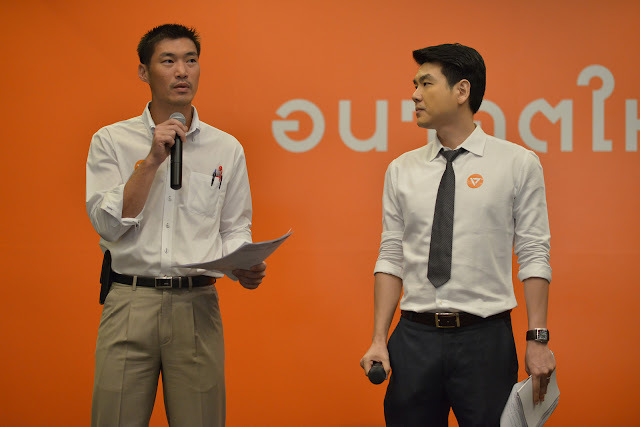 This includes Future Forward Party (FFP) headed by Thanathorn Juangroongruangkit. Shinawatra's efforts are augmented by significant US backing. 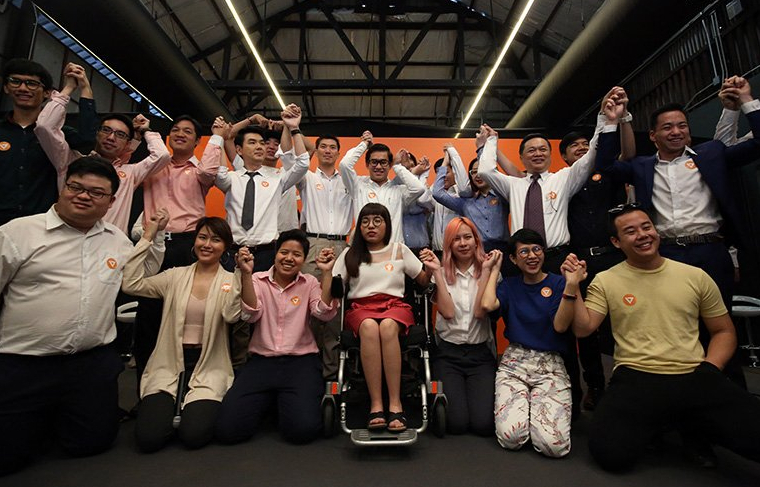 This includes through the US National Endowment for Democracy (NED) and convicted financial criminal George Soros' Open Society which together, fund an array of fronts posing as nongovernmental organisations (NGOs) supporting Shinawatra and his proxies' bid to rush elections and restore Shinawatra or one of his proxies to power. Thanathorn's FFP is also a direct beneficiary of NED/Open Society money, with several of his party's co-founders and their associates being actual NED/Open Society grantees. This includes Piyabutr Saengkanokkul, a long-time Shinawatra lobbyist who previously held indoor rallies for Shinawatra's UDD at Thammasat University, Nalutporn Krairiksh of NED/Open Society-funded media front Prachatai, pro-Shinawatra "Liberal League of Thammasat for Democracy" (LLTD) activist Thararat Panya turned women's rights activist after being raped by fellow LLTD activist Phattanachoke Thanasirakul (Khaosod provides a whitewash of the crime here, and it should be noted the newspaper is owned by Thanathorn's family), Chamnan Chanruang of Open Society-funded Amnesty International (Thailand) and Wipaphan Wongsawang of Western-funded "Rethink Thailand." Organisations like the "New Democracy Movement" and the above mentioned LLTD have received direct support from the US, UK and Canadian embassies which have repeatedly provided staff to accompany NDM and LLTD members to police stations and courtrooms to face charges regarding their serial sedition. Thanathorn Juangroongruangkit himself is the son of billionaires Pattana and Somporn Juangroongruangkit, founders of Thailand's largest auto parts manufacturer, Thai Summit Group. Thanathorn is also the nephew of Thaksin Shinawatra ally Suriya Juangroongruangkit who served in Shinawatra's government as Minister of Transport from 2005 until 2006 when Shinawatra was finally ousted from power. The Juangroongruangkit family owns the Matichon media group which includes the decidedly pro-Shinawatra Matichon and Khaosod newspapers. Until recently, Thanathorn himself chaired the Matichon media group, giving up the position in an unconvincing reassurance he would not use the media group to advance his political party. As part of his campaigning efforts ahead of upcoming Thai elections, Thanathorn found himself visiting the foreign sponsors of various fronts his Future Forward Party includes in its ranks. This included trips to Canada and the United States to meet members of the Canadian government and organisations linked to the US State Department respectively. 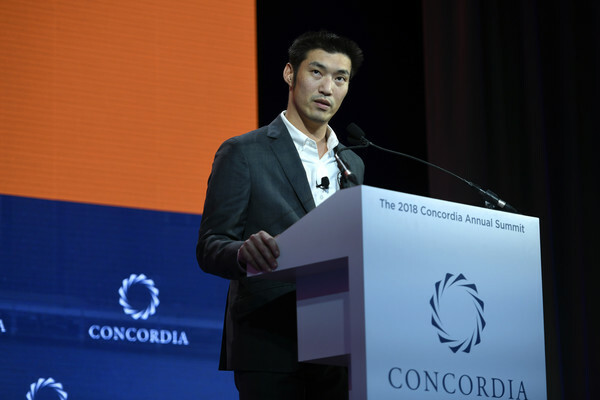 In September, he spoke at the 2018 Concordia Summit, which claims on its website to be, "dedicated to actively fostering, elevating, and sustaining cross-sector partnerships for social impact." 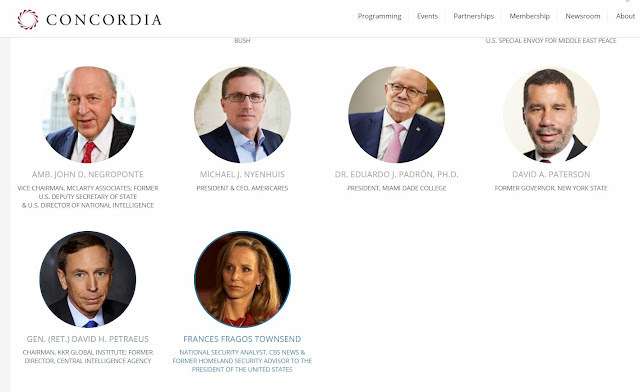 To get an idea of what sort of social impact Concordia seeks, we consider its "Leadership Council," chaired by various corporate and government leaders including Prince Abdulaziz Bin Talal Bin Abdulaziz Al Saud (Saudi Arabia), former US Deputy Secretary of State and US Director of National Intelligence John Negroponte and former Director of the US Central Intelligence Agency David Petraeus. Concordia also maintains an open partnership with the US State Department itself. More telling is Thailand's Suwat Liptapanlop's position among Concordia's "Leadership Council," Suwat having served under Thaksin Shinawatra until 2006. Suwat's presence on the council of an organisation hosting Thanathorn specifically to create and bolster his public image not only further ties Thanathorn to Thaksin Shinawatra, but also to Shinawatra's foreign sponsors. During Thanathorn's US-Canada trip, he also met directly with Canadian government representatives including Canadian prime minister Justin Trudeau. Together they ironically discussed democracy and human rights even as Canada continues to arm Saudi Arabia with hundreds of millions of dollars of weapons to execute its war on neighbouring Yemen with. There is also irony in a supposed champion of Thai democracy seeking support from powerful special interests abroad instead of among the Thai people he supposedly represents. Born into immense wealth, educated abroad, possessing a solid track record of exploiting labour in the family business he inherited and clearly being cultivated by Thaksin Shinawatra and his foreign sponsors, Thanathorn Juangroongruangkit couldn't be any less representative of the average Thai or of "democracy." Yet US and European special interests along with the entirety of the Western media continue promoting Thanathorn and Future Forward as Thailand's best chance at restoring Thai democracy, clearly not because he will represent the interests of the Thai people but rather the foreign interests driving his political ascent. The current Thai government is being targeted for regime change in favour of characters like Thanathorn specifically because it has cultivated unprecedented ties with Beijing. Trade, defence, infrastructure and tourism have become key pillars of cooperation between the two Asian nations, and pillars the US has targeted each in turn attempting to crumble them. 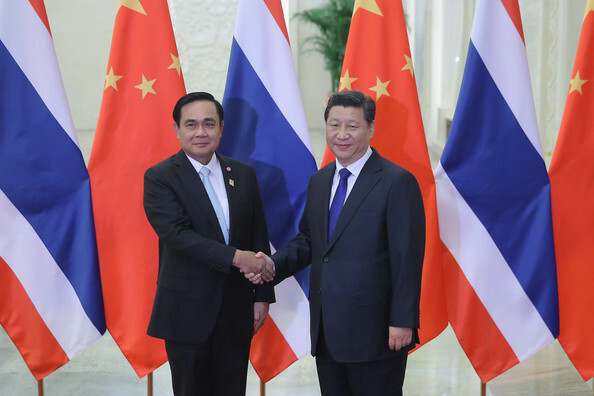 Thailand has signed multiple major joint infrastructure projects with China including high-speed rail networks that will connect to Chinese territory via Laos. Thailand is also buying an increasing number of rolling stock for its various existing and planned mass transit systems from China. Such projects have been opposed by US-European funded fronts on the grounds of "human rights" and "environmental" concerns. In areas of defence, Thailand is replacing its ageing US hardware with new Chinese infantry fighting vehicles, armoured personnel carriers and main battle tanks. It has also conducted its first series of joint military exercises with China to provide balance to what has been decades of US-led regional training like the annual Cobra Gold exercise. China in turn has provided a growing market for Thai goods, particularly in the area of agriculture. China also provides Thailand with its largest number of tourists. Several times more Chinese tourists visit Thailand each year than from all Western nations combined. In 2015, a terrorist attack struck mostly Chinese tourists in downtown Bangkok, months after Bangkok ignored US demands not to send suspected Uighur terrorists back to China to face justice. The attack has been interpreted by some as both a penalty for opposing Washington's demands and an attack on Chinese tourism inside Thailand. The friendship between Thailand and China has been over thousands of years, and with USA for around 200 years, and we remain these ties between our fellow countries until now. China is the number one partner of Thailand, along with other countries in the second and third place like the U.S. and others. They are all good friends to Thailand. Thailand is a small country, so we need to properly balance politics and foreign affairs with all fellow countries. It is this sovereignty-preserving acumen that has painted a large target on the current Thai government by the US for regime change in favour of a mindlessly servile proxy like Thanathorn Juangroongruangkit. For Thailand, as elections near, we can expect US-backed political destabilisation ranging from overt Western media support for Thanathorn's Future Forward and Thaksin Shinawatra's Pheu Thai Party, to Western-sponsored street protests and even violence organised by both parties. There is already a concerted and constant smear campaign aimed at the current Thai government, the Thai military and Thailand's revered, long-standing monarchy, which will only intensify ahead of polls. The US has proven that its answer to China's policy of building and developing is an aggressive counter-campaign of destabilisation and and co-opting if possible, and dividing and destroying if necessary. The US has spent decades attempting to encircle and contain China and as its current efforts become increasingly ineffective, more desperate measures will be deferred to. The price for underestimating Washington's capacity for destabilisation and destruction is illustrated in Libya, Yemen, Ukraine, Syria, Iraq and Afghanistan. It is a price Thailand must make sure it avoids paying by dealing intelligently and decisively with Washington's proxies. Correction: I had previously incorrectly reported that Thararat Panya was a member of the New Democracy Movement and raped by NDM co-leader Abhisit Sapnaphapan. She is in fact was a member of the parallel organisation Liberal League of Thammasat for Democracy (LLTD) and was raped by fellow LLTD activist Phattanachoke Thanasirakul. NDM co-leader Abhisit Sapnaphapan had raped another NDM activist. The above article has been revised to reflect these corrections.